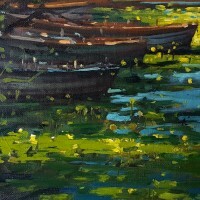 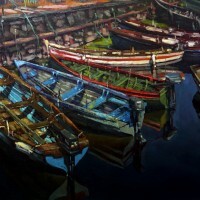 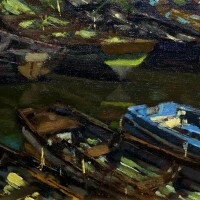 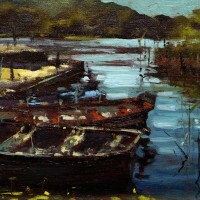 Dave West Artist – Evening boats, Ross Castle, Killarney. 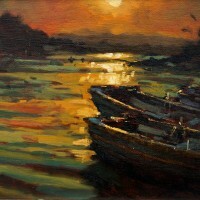 Dave West artist was born in Penclawdd, South Wales and raised in Swansea City. 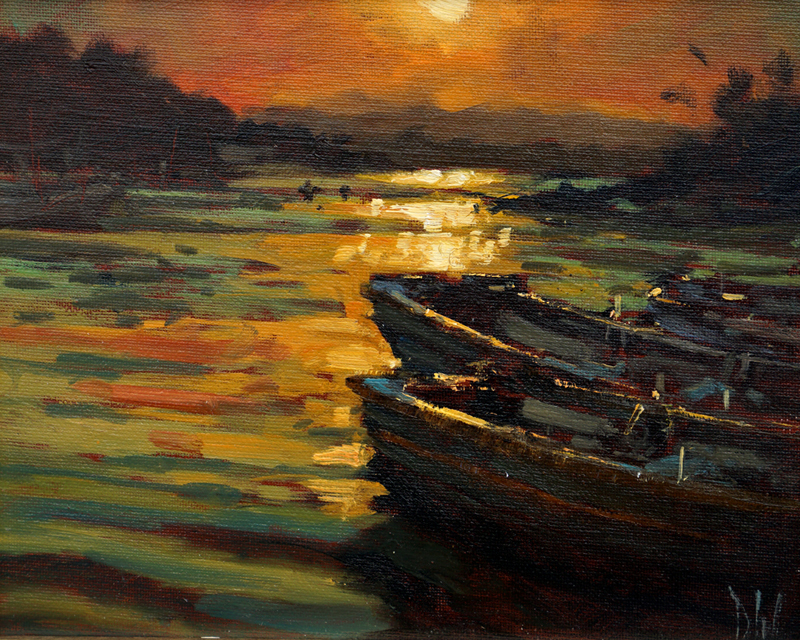 He studied at the Carmarthenshire College of Art & Design and is now settled in Balbriggan, North County Dublin. 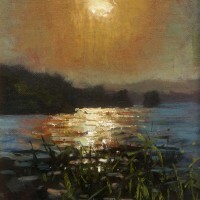 Dave West has recently held numerous successful solo exhibitions. 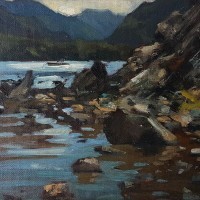 His work has been selected for the Royal Ulster Academy, Royal Hibernian Academy and the Royal Society of Marine Artists annual exhibitions. 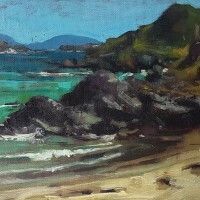 His work is also in many private and corporate collections including the OPW, Texaco Corp., BP and Fingal County Council.